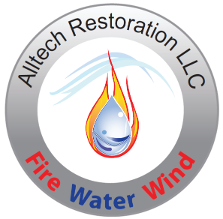 When you wake up to a blown or leaking water heater, count on Alltech Restoration for quick water damage restoration solutions. We can handle everything, from one room to an entire house. Sometimes, Texas gets about 3-4 inches of rainwater in one night. 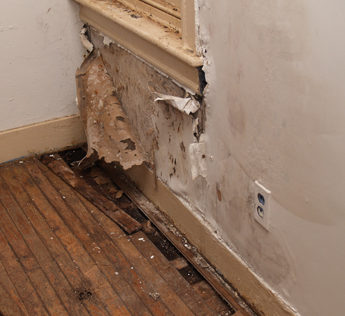 This can damage different parts of your home including floors, Sheetrock™, and baseboards. Thankfully, our company is always ready to help reduce the damage and restore your property to its original, or better, condition. We serve all homeowners, business owners, and insurance companies throughout San Antonio. Before we begin the restoration process, our crew will measure your property, record all its details, and build a blueprint using Xactimate™. We use this software because the insurance providers who set the standards and pricing for the repairs require it. You will be given a cost estimate after. During restoration, our crew will rid your property of all damaged materials. Then, as a mildew and mold prevention solution, we dry all your fixtures using our equipment. We offer pack-out services to protect furniture that has not been affected by water. Our team will remove the furniture from your property and store it in our 8,000-square-foot, climate-controlled warehouse. Trust us to do an accurate inventory of your belongings while conducting our pack-outs. We will take photos of everything, from the biggest piece of furniture to the smallest knickknacks, so we'll know how to properly put them back in place. You may take advantage of this service while we are restoring your home.